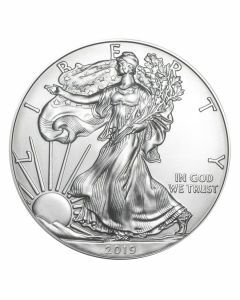 These 2017 1 oz American Silver Eagle Proof coins are this year’s proof releases, usually aimed at collectors and investors who value the intricate detail of the designs as well as the mirror-finished surface of the silver in them. 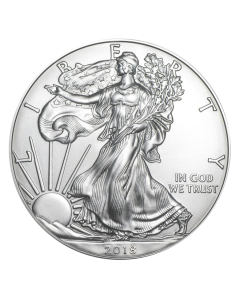 The American Silver Eagle program was launched in 1986, and since then, the United States Mint has annually released a bullion, BU, and proof variants of these coins. Instituted in 1792, the United States Mint has grown from a single, tiny minting facility in Philadelphia to a mammoth national mint with four minting facilities under it. As each of these branches boasts an astounding output potential, the United States Mint is capable of striking 30 million coins in a single day. 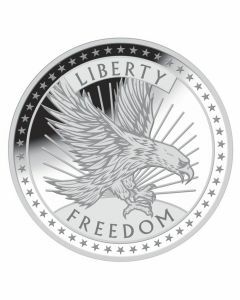 Each of these 2017 American Silver Eagle Proof coins contains 1 troy ounce of 99.9% pure silver. Moreover, it also bears an official face value of $1 (USD), guaranteed by the United States Government. The obverses of these coins display the beautiful handiwork of the sculptor, Adolph A. Weinman – the famed “Walking Liberty” design. Ever since this design was created in 1916 for the Silver Half-Dollar coin at the time, it has been considered one of the most elegant designs ever to feature on American coinage. 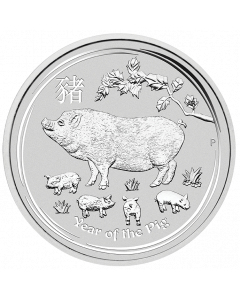 Meanwhile, the reverses of these proof coins feature a design inspired by the National Seal of the United States of America. John Mercanti, the Chief Engraver of the United States Mint at the time, rendered this design for use on American Silver Eagles in 1986.